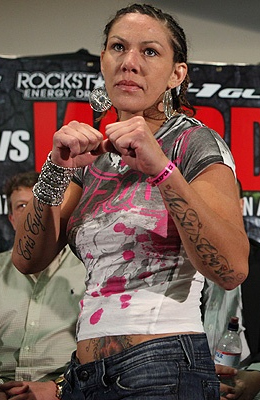 Cris 'Cyborg' Santos made an impressive return by knocking out Hiroko Yamanaka in just 16 seconds. After a year and a half absence, Cristiane ‘Cyborg’ Santos made an impressive return and knocked out her opponent Hiroko Yamanaka in a fight that only lasted 16 seconds. The fight took place on Saturday at the Valley View Casino Center in San Diego with Cyborg defending the Strikeforce women’s featherweight champion title against Yamanaka. Cris ‘Cyborg’ came out aggressively and dropped her opponent with two swift right punches and retained her title in a span of 16 minutes. A few months ago, during Cristiane “Cyborg” Santos’ hiatus, rumors emerged that she will be fighting for World Wrestling Entertainment. It is also said that a negotiation between the promotion and fighter is in the works. However, the WWE execs denied these rumors. 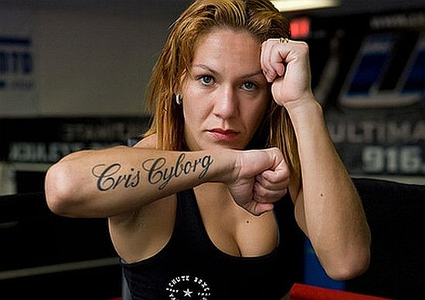 As Cris Cyborg’s contract with Strikeforce soon to expire, the fighter was forced to seek employment elsewhere — especially as her negotiations with the promotion was stalled. Ultimately, her focus was always on MMA, while the move to WWE serves as a back-up plan. 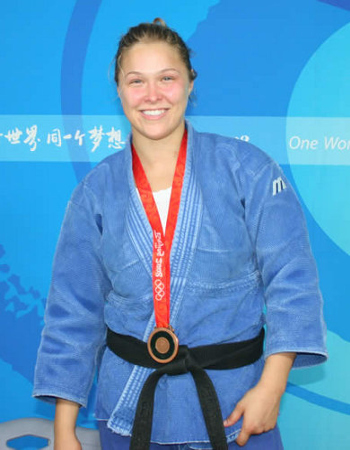 Olympic Judoka, Ronda Rousey, will meet Sarah D’Alelio on Strikeforce's Fedor vs Henderson card. In view of the fact that Chris “Cyborg” Santos has been recently declared a free agent, and most MMA fans have delivered negative comments pertaining to the previous bout promoted by the Zuffa company, one may assume that this is an obvious sign for company’s women’s MMA. However, last Friday, Strikeforce proved that this is not yet the beginning of an end, as Olympic Judoka – Ronda Rousey – officially signed for the promotion. After that, Ronda Rousey was slated for a match against Sarah D’Alelio on July 30’s Fedor vs Henderson card. The Olympic Judoka has been one of the hottest targets of Strikeforce. At a very young age, the female MMA fighter won a Bronze medal during the 2008 Olympic Games in Beijing — making her the first American female to have an Olympic award. She celebrated the said victory by turning into a Vegan. Ronda Rousey is actually known for finishing her contenders, whether amateur or professional, with an “armbar”. Currently, the female MMA fighter has a record of 2-0 — wherein she used the same technique to beat her opponents.